This practice of triple talaq is very destructive to marriages and makes a mockery out of the rules of the deen. But as we have seen, it has been going on even since pre-Islamic times. I think that Islamic family law should be a standard part of Islamic education in Muslim nations, and that might help to reduce practices like these. I really do not understand why Islam made women vulnerable. There was no paper available to the desert people, so things were done verbally. In my opinion Islamic scholars should revise divorce procedure to reduce distructiveness it may cause to a family for an impulsive act and meet needs of the time and age. How did Islam make women vulnerable? In pre-Islamic Arabia women had no rights at all. Islam gave them the right not to be forced into marriage without consent; the right to be paid a mahr as security in case of divorce; the right to keep their own incomes or wealth; and Islam instituted a waiting period in case of divorce, and limited men from divorcing their wives more than three times. You seem to think that the limitation of three divorces is oppressive toward women. It’s exactly the opposite. It was created to protect women from husbands constantly threatening them with divorce as a means of coercion or pressure. My question is if, three divorces in one setting is seen as making the divorce instant and irrevocable, the what happens with no ‘iddah (waiting period) and no opportunity for reconciliation? Especially when it is stated in the quran that the Iddah is also a time for the husband to reconcile, what if she is pregnant, How can this be, surely this is making a mockery on the Quran and our sunnah, Surely 3 divorces in one sitting should not be permissible. So that the Iddah, as stated in the quran can be observed in the correct way and also hold a woman’s dignity, 3 Divorces in one sitting is a insult on the wife. Also is it not 3 divorces in one sitting an act of shaytan? How can this statement have any weight in the light of the Quran and or beloved Prophet Swt? Sister, As-salamu alaykum. If I were to murder someone, I would have committed a terrible sin and a crime, and an act of rebellion against Allah. But the victim is still dead, right? The fact that I committed an act of Shaytan does not make the effect of it any less real. So the question is, when a man declares three divorces at once, though it is haram and a sinful act, does it count as one divorce or three? As the article says, some scholars have said that it only counts as one divorce. According to scholars such as Ibn Taymiyyah and Ibn al-Qayyim, triple divorces that are pronounced concurrently shall be considered only as a single divorce. They base themselves on the evidence that it was treated by the Prophet (peace and blessings be upon him) as single divorce. It is further supported by other clear evidences from the Qur’an and the Sunnah. There is no harm if you choose to adhere to this opinion and follow it. The reason that Abu Bakr and ‘Umar (may Allah be pleased with them) enforced it as three divorces was precisely because it is a mockery, as you said. 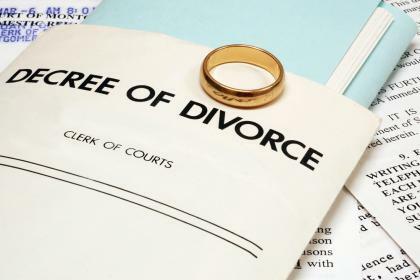 They felt that if men knew that a pronouncement of triple divorce would actually be enforced and irrevocable, that it would discourage the practice and make people think twice about doing it. Were they right? Allah knows best. Can talaq be written and consider as talaqah? If a man file a divorce under the American Law, can that consider as talaqah? Please discuss this issue in depth if you can! I’ve never heard of “talaqah”, but I guess you are speaking of the same thing as talaq. Filing for divorce under American law is fine, but an Islamic divorce is still required if you want to be considered divorced in Islam. In any case the Islamic divorce procedure is quite simple, so there is no reason to neglect it if you are getting divorced. Salaams. I have a question after reading upon the divorce proceedings in the time of the prophet pbuh and the current time in today’s society. If at the time of the prophet pbuh three divorces in one sitting was seen as a mockery and counted as one then Why do ulamas these days break up so many homes n say they count as three. Surely we have to act upon thequran and the sunah of the prophet pbuh. Also if the Quran States after one talaq there is iddah followed by the next talaq if the couple do not want to reconcile. This carries on til three divorces are complete and makes the marriage irrevocable. The husband has to utter or speak the word talaq if I’m correct. The. Why in today’s society do scholars and ulamas practice and believe that emails and text messages and written papers of talaq are counted as divorce? Cuz at the time of the prophet these things did not exist it was merely the Quran n the Sunah n for the husband to speak or utter the words. I am posting this as I have known ulamas to say if three divorces were written on a piece of paper and the wife has not read it but two other people have then the divorce is counted even though the husband did not intended actual divorce but a threat in a state of complete and uncontrollable anger and wrote down three divorces assuming they only counted as one. The ulamas have now advised that husband his marriage has ended he is in a very emotional state as this is not what he intended . So if there is anyone out there who is reading this please can you help if u are literate in Quran and sunnah. Where in the Quran and sunah does it state write paper email and texts wil b counted towards irrevocable divorce. Also if anyone has this in transalation from the Quran please could you post this. I am a Muslim sister trying to help another Muslim keep there home toghter instead of breaking it up like most ulamas do these days. If I have posted anything that is incorrect then I apologise and please correct me. Jzkllh khair.